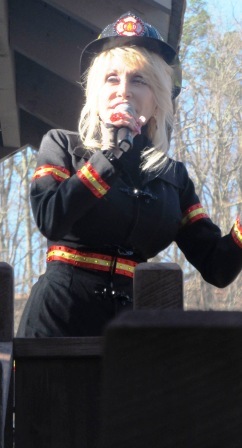 We’re very proud of Dolly Parton here in the Smokies! She consistently turns out hits with her music, but her most beautiful song is the one she sings with her heart on a daily basis! Dolly's successful music career has given her endless opportunities! She sings various types of music, stars in movies, and has even had her own TV show! 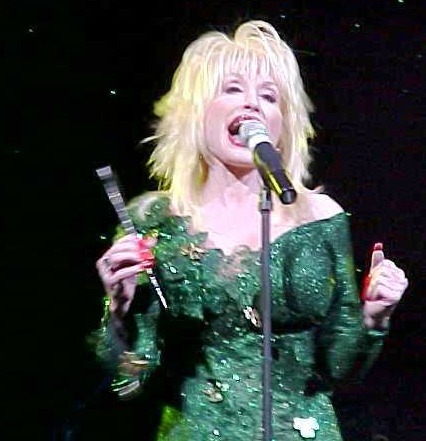 Dolly Parton carries a beautiful Heartsong that lights the world wherever she goes! Her spiritual roots run deep, and her relationship with our Lord is close, and very personal. She was the 4th child born to Robert and Avie Lee Parton. She lived in a rustic one-room cabin with eleven brothers and sisters. Music has played an important role in her life since she was very young. Dolly's grandfather was a Pentecostal preacher. This gave her an early start in music with some of her earliest roots being in Christian music. She later sang on local TV and radio. She appeared with Cas Walker's TV show, and on WIVK Radio in Knoxville, TN. By the age of thirteen, she had her first single on Goldband Records entitled, "Puppy Love." She moved on to Nashville the day after graduating from Sevier County High School in 1964. And as they say, "the rest is history!" 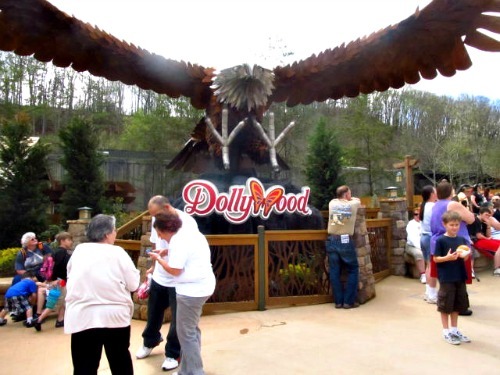 DOLLYWOOD - Dolly does much to support this area and contribute to its growth. A visit to the Great Smoky Mountains wouldn't be complete without a trip to Dollywood. People come from all over the world to visit her theme-based amusement park. It's a grand place to be and "jam-packed" with family fun! 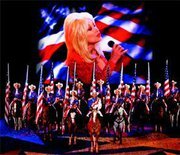 DOLLY PARTON STAMPEDE - I love show horses, delicious food, and a great performance! The Dixie Stampede is all of this, and more! It’s action-packed family entertainment that will “thrill your socks off!” Equine professionals perform daring feats as you enjoy delicious country home-cookin‘. You'll roll in the isle with laughter watching The Dixie Stampede! The actors, and animals really know how to show their “stuff. 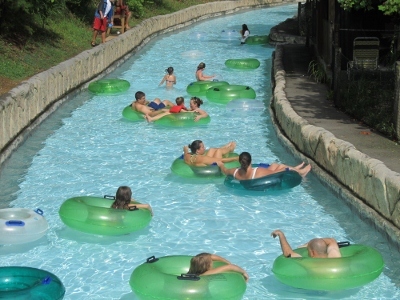 DOLLYWOOD SPLASH COUNTRY - Some of the best water slides in the country are located right here inside Dollywood Splash Country You’ll love their giant wave pool, relaxing on the Lazy River ride, and more. There is plenty of food, fun, and excitement for everyone!